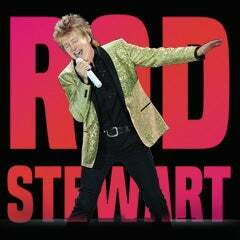 LOS ANGELES, January 8, 2018 – Singer/Songwriter Rod Stewart, the two-time Rock & Roll Hall of Fame-music icon, today announced plans for an extensive North American summer tour. Following the incredible success and rave reviews for their 2017 summer tour, Stewart has invited the legendary Cyndi Lauper to again join him as the tour’s special guest. Produced by Live Nation, the tour will stop at Atlantic City’s Historic Boardwalk Hall on Saturday, August 4. Pre-sales begin Tuesday, January 9 at 10:00 a.m. local time; tickets will go on sale to the general public starting Friday, January 12 at 10:00 a.m. local time via www.BoardwalkHall.com. For complete details on presales, ticketing and tour information, please visit: https://fanclub.rodstewart.com/, LiveNation.com or CyndiLauper.com.